Toni Powlett is an artist in the grip of a crisis. Since the death of his father, Moniek Prochownik, four years earlier, Toni has been at a creative standstill - until Marina Golding, the wife of his former teacher and mentor, Robert Schwartz, contacts him, and everything changes. Toni finds in Marina the perfect companion of his life in art and his creative energies are re-awakened. But Toni's newfound inspiration and artistic energy come at the direct expense of his relationship with his wife and daughter. The more dependent for his art he becomes on Marina, the more potentially destructive become the tensions between himself and his wife, Teresa. Toni's dilemma is how to reconcile the transgressive nature of his imaginative life with the daily life of his family, who he loves. Robert Schwartz's dying father, Theo, warns him not to confuse art with life. But by what means is he to achieve such clear-sightedness? 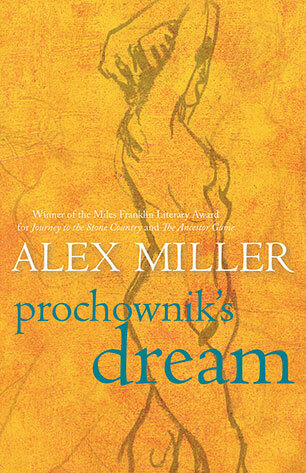 Immensely satisfying, Prochownik's Dream is a work of great subtlety, strength and intellect. Its examination of the artist at work is complex and completely absorbing. But at its heart, very simply, it is a book about love. 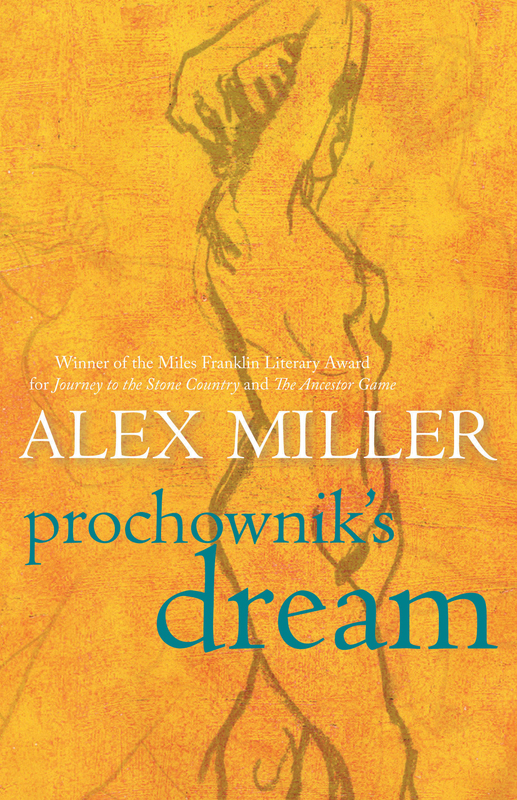 Alex Miller is twice winner of Australia's premier literary prize, The Miles Franklin Literary Award, first in 1993 for The Ancestor Game and again in 2003 for Journey to the Stone Country. He is also an overall winner of the Commonwealth Writers' Prize, in 1993 for The Ancestor Game. His fifth novel, Conditions of Faith, won the Christina Stead Prize for Fiction in the 2001 New South Wales Premier's Awards. In 2011 he won this award a second time with his most recent novel Lovesong. Lovesong also won the People's Choice Award in the NSW Premier's Awards, the Age Book of the Year Award and the Age Fiction Prize for 2011. In 2007 Landscape of Farewell was published to wide critical acclaim and in 2008 won the Chinese Annual Foreign Novels 21st Century Award for Best Novel and the Manning Clark Medal for an outstanding contribution to Australian cultural life. It was also short-listed for the Miles Franklin Award, the Christina Stead Prize for Fiction, the ALS Gold Medal and the Commonwealth Writers' Prize. Alex is published internationally and widely in translation. Autumn Laing is his tenth novel.